Gabapentin (brand names: Gralise, Horizant, Neurontin, Gabarone) is a drug prescribed for people who suffer from epilepsy. It’s also used to relieve symptoms of postherpetic neuralgia (PHN), a condition marked by aches and pains that persist after a shingles breakout, and restless legs syndrome (RLS). The drug is classified as an anticonvulsant and it treats seizures by decreasing abnormal brain activity that contributes to excitement. In PHN, it relieves pain by changing how the body senses pain. Gabapentin comes in capsules, tablets, and oral solutions. Gabapentin may trigger (or intensify) thoughts of suicide during treatment. A patient experiencing these symptoms (including changes in mood) should seek the advice of a healthcare professional. In children, the use of gabapentin can result in a change in behavior. People who suffer from the following conditions should consult with a healthcare professional before starting gabapentin. Individuals with RLS who are day sleepers or work a night shift should also seek medical advice before taking gabapentin. Similar measures apply to pregnant and breastfeeding women who are prone to having seizures, as the medication may affect the development of the child. Gabapentin may cause severe allergic reactions in some people. Get immediate medical help if a person experiences difficulty breathing; has hives; or becomes swollen at the face, tongue, or throat. In addition, patients who experience serious drug reactions (i.e., skin rash, unusual bruising, or jaundice), increased seizures, and worsening symptoms are advised to consult with their healthcare professional. Children taking gabapentin may experience problems with memory and concentration, as well as acting restless, hostile, or aggressive. The side effects of gabapentin affect a person’s cardiovascular, dermatologic, endocrine, gastrointestinal, genitourinary, hematologic, hepatic, metabolic, musculoskeletal, nervous, ocular, respiratory, and renal systems. In addition, this can also increase the risk of cancers such as breast cancer and non-Hodgkin’s lymphoma, as well as trigger hypersensitivity syndrome. Certain food items that may lead to adverse effects when taken with Neurotonin, a brand name for gabapentin. Caffeine – Taking caffeinated beverages while taking Neurotonin can lead to having a dry mouth and increase the risk for dental caries. Counter this by sucking on the rind of a lemon or lime. Alcohol – For some people, taking Neurotonin can have a sedative effect. If this is coupled with alcohol, this can intensify dizziness, lightheadedness, and drowsiness that comes with taking the medication. In addition, both alcohol and Neurotonin affect the central nervous system, which can lead to potentially serious complications. Grapefruit – Eating grapefruit after taking Neurotonin can increase the latter’s rate of absorption into the body, which can cause an overdose of the drug. Spicy and salty foods – These can irritate the mouth of someone taking Neurotonin. Spicy and salty foods can also worsen symptoms of dry mouth. Natural treatments are available for people looking for alternatives to gabapentin in treating seizures or pain from shingles. Honey. Applying to the affected areas can help relieve the pain and will put honey’s antiviral properties to good use. Oatmeal. When used topically, a mixture of oatmeal and water that has been cooled down can help with the itching. Acupuncture. The treatment helps relieve PHN following a herpes attack. Turmeric. Mixing half a cup of turmeric powder, one cup of water, and a half teaspoon of black pepper and boiling them makes a paste that can relieve pain. Reduce triggers. 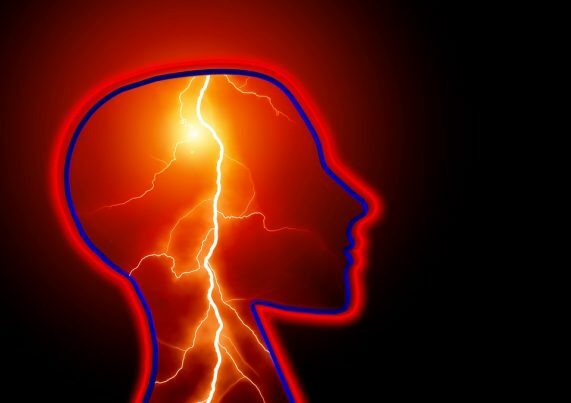 Identifying triggers such as stress, alcohol, or even overexposure to electronics or cutting back on them can greatly help reduce the incidence of seizures. Ketogenic diet. The diet has been used to treat seizures for over 100 years, and it involves severely limiting carbohydrate intake while increasing fat. Magnesium. Supplementing with magnesium has been found to help with epileptic seizures. Valerian. It’s been widely used in countries like Germany and Russia to treat seizures and other mental disorders. Gabapentin is prescribed for people who suffer from epilepsy, postherpetic neuralgia (PHN), and restless legs syndrome (RLS). Gabapentin may trigger thoughts of suicide during treatment and can result in a change in behavior. Gabapentin can harm a person’s cardiovascular, dermatologic, endocrine, gastrointestinal, genitourinary, hematologic, hepatic, metabolic, musculoskeletal, nervous, ocular, respiratory, and renal systems. Gabapentin can also increase the risk of breast cancer and non-Hodgkin’s lymphoma.